Widely regarded as the toughest backpacking trail in the UK, the Cape Wrath Trail is a 3-week, 200-mile epic from Fort William to the most north-westerly point of the mainland. Winding through beautiful glens and past stunning mountains, it takes you to some of Scotland's finest country including Morar, Knoydart, Torridon and Assynt. 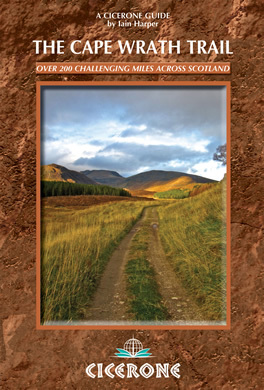 There is a fantastic guide to the trail written by Iain Harper and published by Cicerone Press. After the best part of two weeks you pop out at Inverlael which is about 7 miles from Ullapool. Here you have a choice; do you stay on the main trail or divert to the bright lights of Ullapool? It is an bit of a slog along a busy road, so one option is to call a taxi from Ullapool to come and collect you from the phone box at Inverlael. Try Ewan's Taxis 07801 355510 or Ullapool Taxis 07517 612619. After resting and restocking, instead of returning to Invelael you could use an alternative stage which leaves from the back of Ullapool and winds pleasantly along the Ullapool and Rhidorroch rivers before rejoining the main route near Knockdamph bothy. This has the additional advantage of avoiding one of the nastier un-tracked sections with its potential dangerous river crossing. When in Ullapool here's just a few of our products you might need to stock up on. We have all the common types of backpacking gas canister including screw-on, Camping Gaz clip-on and piercable. We also have Coleman Fuel and methylated spirits. Extreme Food is the best freeze-dried food around. They're lightweight, convenient, nutritious and above all they taste great. Wayfarer Food make a great range of ready meals. They're convenient, easy to prepare, and can be eaten hot or cold. 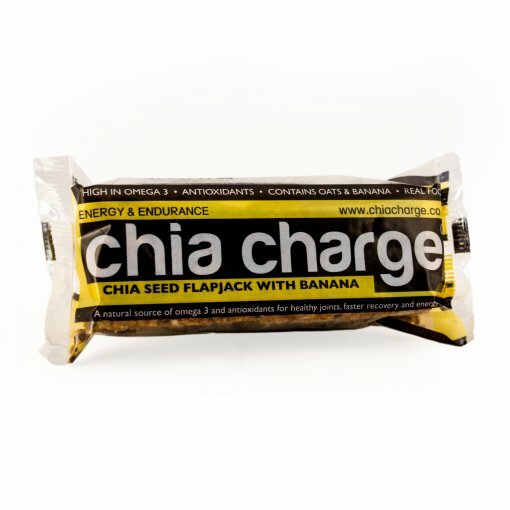 Our range includes heaps of different trail snacks and energy bars, including the mouth watering Chia Charge bars. And if your map blew away in the wind we've got both Harvey and OS Maps. Just in case you've got the odd blister we stock a good range of plasters from Compeed! And now the bad news. If your doing the trail in July or August, then by the time you reach Ullapool you'll already have run out of midge repellent. Relax we've got it covered. We've got far too much stock to list here, but if you've lost it, worn it out or it just blew away we've probably got it. And upstairs you will find a relaxed cafe serving breakfast, lunch, homemade soup and cakes combined with our lovely photographic gallery.